These satisfying patties—each a meatless alternative with all the trimmings—taste like the real deal. 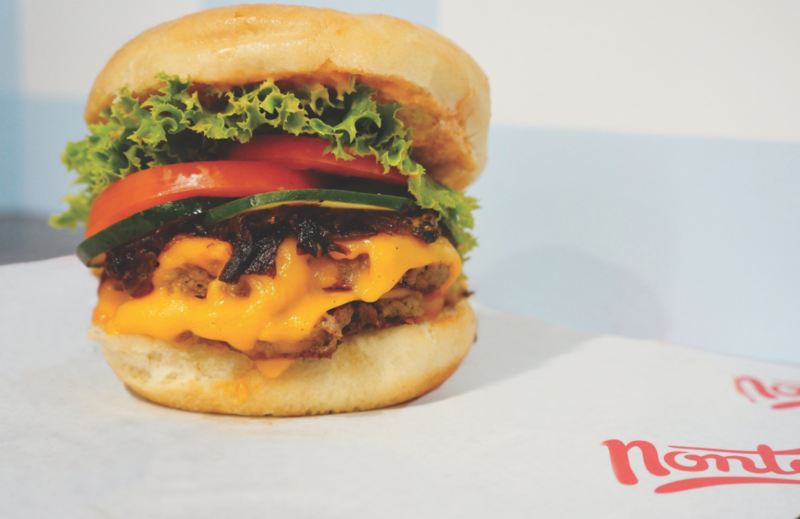 Nodding to classic roadside burger shacks like In-N-Out, this ambitious all-vegan chain serves Impossible Burger patties on potato buns topped with lettuce, tomato, grilled onions, pickles, house spread, and Follow Your Heart vegan cheese. 516 S. Western Ave., Koreatown. This classic burger window in Chinatown’s Central Plaza, opened in 2015 by brothers Fred and Max Guerrero, makes its own vegan patties daily, using barley, mushrooms, eggplant, leeks, chickpeas, cashews, and a blend of spices. Toppings and bun? Kept simple to let the patty shine. 943 N. Broadway, Ste. 102, Chinatown. Tony Yannow’s vegan-friendly craft beer pub has no shortage of snacks (anything from buffalo wings to disco fries), but serious hunger calls for a twist on the Western Bacon Cheeseburger: two Impossible Burger patties, vegan bacon, vegan provolone, barbecue sauce, and frizzled onions. 1710 W. Magnolia Blvd., Burbank. Made with Beyond Meat patties, smoked mushrooms, shallot jam, tomato spread, coconut-oil-based “American cheese,” pickles, and fried onion rings, the towering burger at this taproom packs a punch. 832 S. Olive St., downtown. Previous articleThe Duo Behind the Tonya Harding and Nancy Kerrigan Museum Are Bringing a Grey’s Anatomy Exhibit to L.A.